Think Beautiful. Think About Beauty School. Austin in a town known for its creativity. Our music, art, and food are never boring. Some of our most famous residents are bats! (And some of our other residents can be a little batty...) In 2017, Business Insider named Austin, Texas as one of the most creative U.S. cities. Do you feel like you’re a part of Austin’s creative heartbeat? Maybe you’ve considered a creative career for yourself but a few things hold you back. You’ve never thought of yourself as an “artist” in the traditional sense—you were never great at drawing. You love beautiful things but an artist’s unstable lifestyle gives you heartburn. What if you could find a career that was both creatively fulfilling and made good business sense? You might be able to find your answer by going to beauty school in Austin. At the Nuvani Institute in Austin, you can join the ranks of the creative pulse of Texas’ capital city. As a hair stylist, nail technician, or skin care expert, you’ll be contributing to the aesthetics of Austin. Your fellow Austinites are your canvas! As a hair stylist, nail technician, or esthetician, your job will never be boring. You can meet a range of interesting people and no two days will ever be the same. Possible employers include salons, hotels and resorts, or even cruise lines. The entertainment and fashion industries need cosmetologists too! Plus, every day your most important task is to make someone feel great about themselves. Beauty school is an investment in your future—and your future looks beautiful! 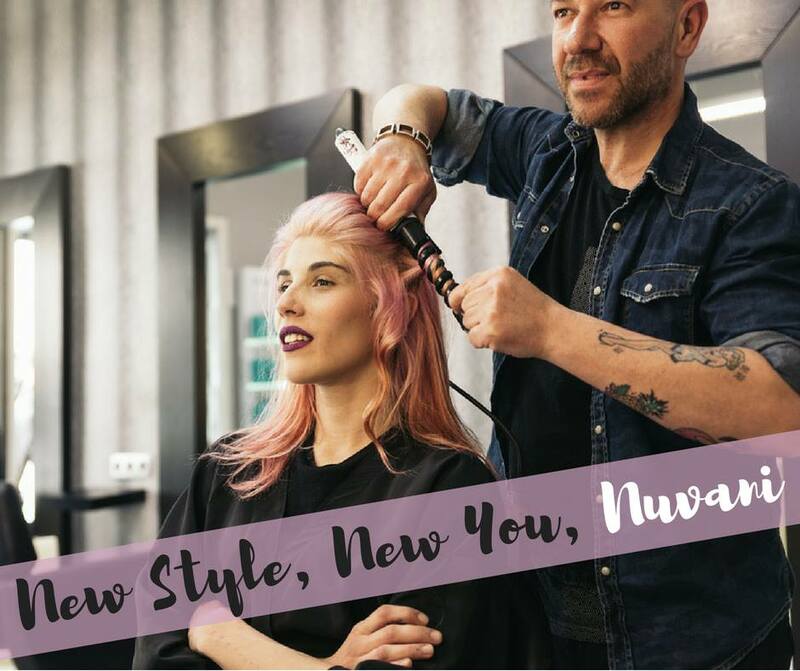 Nuvani will prepare you for the business side of beauty as well as the aesthetics. You’re more than a pretty face! Do you want to own your own salon one day? Nuvani can teach you the fundamentals of professional management and practices. Depending on the program, you can learn hair color chemistry, hand and arm physiology, or facial anatomy. You might even want to take it to the next level and become a cosmetology instructor yourself! We are a beauty school that motivates you to do your best. Our instructors care about your learning and eventual success. We guide you through the financial aid process and offer on-time graduation rewards. Nuvani Institute in Austin is located off Interstate 35 and William Cannon Drive. Nuvani also has locations throughout Texas in Del Rio, Eagle Pass, San Antonio, and Uvalde. Call us in Austin at (512) 782-4939 to get more information about your new creative career. You can even get started on your application online!